You may have heard the term “soil chemistry” bandied about, and while it’s easy to figure out the gist of the concept from context, the actual field of soil chemistry can be quite complicated. But if you’re looking to make soil more fertile, reading, understanding, and adjusting soil chemistry could be the key. How can soil be made more fertile? That’s the question we all want the answer to, and luckily, it all comes down to things like soil acidity, moisture levels, ion exchange, and oxidation. All of which can be measured and even altered where needed. PH balance is simply a measure of the acidity levels in the soil. This can be tested relatively easily with either a commercial probe or litmus paper, either of which can be obtained at most garden centers. If your soil reads below 7 on the scale, it’s acidic. Ratings over 7 indicate basic or alkaline soil. Generally, the most ideal range is slightly acidic, between 5.5 and 7 PH. If your soil is reading too low, you can reduce acidity by adding limestone to the soil. If the test reads too basic, you can add a small amount of diluted vinegar or sphagnum peat to your soil to increase its fertility. A lesser-known but just as important element to soil chemistry (and thus soil fertility) is a measurement of the soil’s cation exchange capacity. Cations like calcium, for instance, carry a positive charge and are vital for fertility and nutrient absorption. The “cation exchange capacity” of your soil determines how negatively charged your soil is, and whether or not it can absorb the electrons coming off those positively charged cations. This is a bit more difficult to test – you may have to bring a sample to soil laboratory in your area – but a less-than-ideal CEC can be fixed by adjusting PH or adding more organic material to the soil. When organic beings decay, they leave valuable nutrients in the soil. They also have some effect on how the soil handles pollution and the absorption of available nutrients. You can get your soil tested by a laboratory for the level of organic matter. Adding organic compost will help raise the level of decaying organic matter in your soil, which will in turn make your soil far more arable. As with all things, knowledge is power. 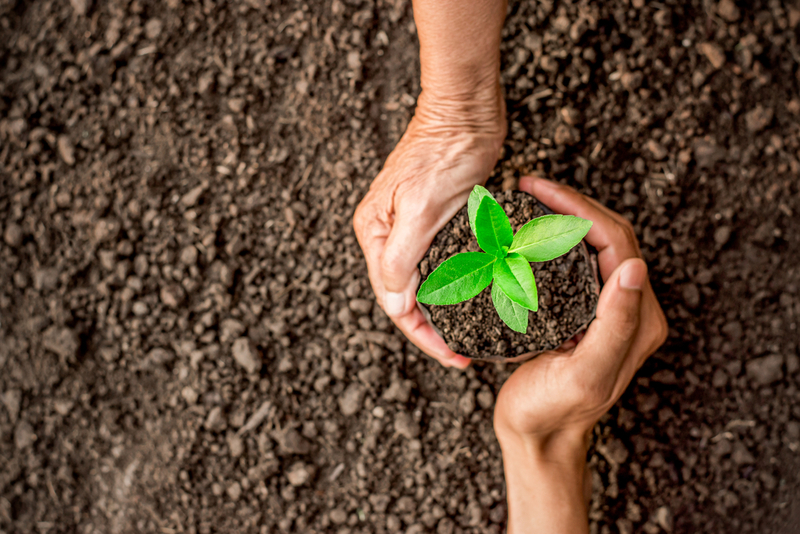 If you know how to test for PH, cation exchange capacity, organic matter density, and more, you can turn that desiccated soil into a fresh bed for crops, flowers, or whatever kind of plants you need. Companies like WMD can help provide you with the perfect, fertile soil for any agricultural application.